Mission: The healthiest sick girl. | The Endo The World? Mission: The healthiest sick girl. I have a new mission: I want to be ‘the healthiest sick girl’. I know this may sounds strange to many people, but I bet if you’re reading this you have a chronic illness and so it won’t sound strange at all. Over the past year I have had a lot of people in my life say things to me along the lines of ”you are just so unhealthy aren’t you?” when I’ve rocked up to work looking like death for the millionth time. But nothing could be further from the truth. When you have an inflammatory and progressive disease like endometriosis, prioritizing your health really becomes really important, much more so than other twenty-somethings who often can and do take their body for granted. That means eating better, sleeping more, exercising smarter, and managing your stress with precision. If you don’t you can expect some major payback with pain and/or fatigue. It has taken a lot of work, but I think I’ve now truly accepted that I have a chronic illness and will experience some level of pain and fatigue for the rest of my life. That was my entire 2015 really, coming to terms with this new and unexpected reality; lots of therapy, tears, and pizza was involved. I’m ready to start moving on now. I want to be as healthy and strong as I can be, and to start working towards my life goals again. To do this I need to be as well as possible. My health will never be perfect, and this journey won’t be easy, but I am ready for this fight now. 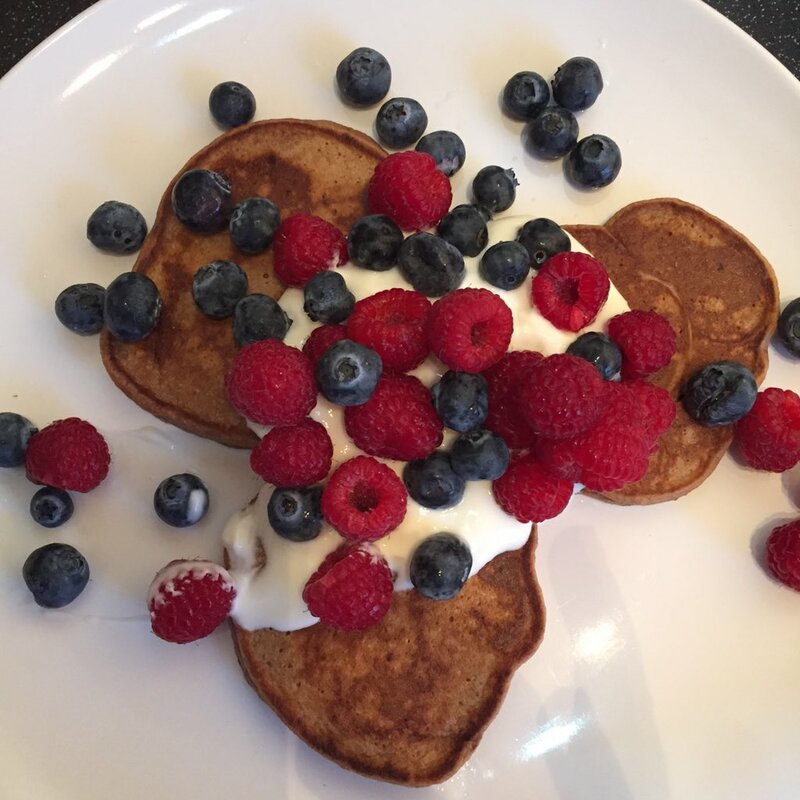 My favourite cacao pancakes– gluten/diary/refined sugar free. 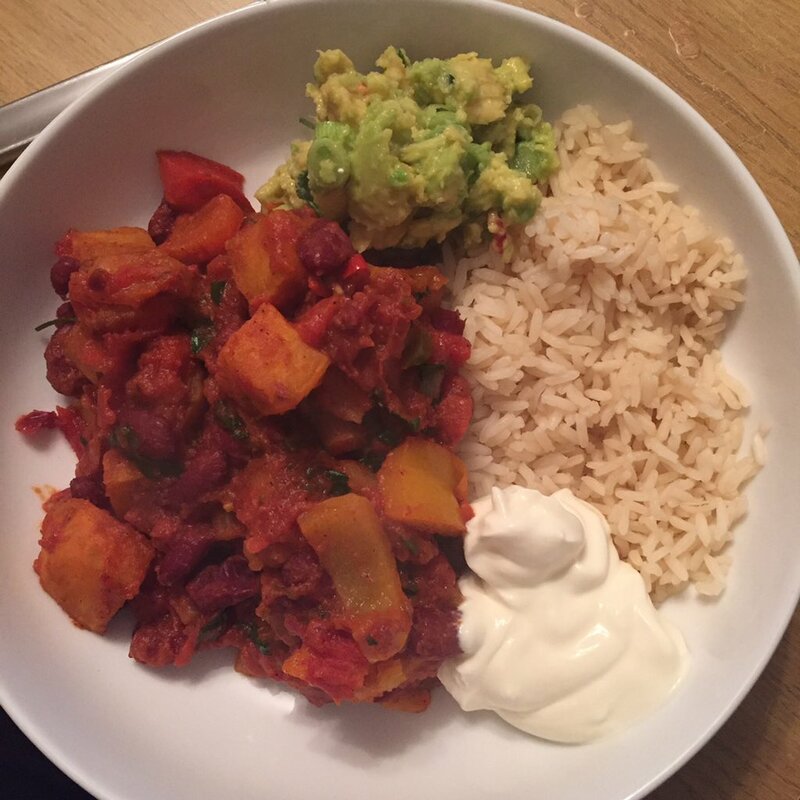 Sweet potato chili with brown rice, guacamole and sour cream. Lots of anti-inflammatory spices make this so tasty! 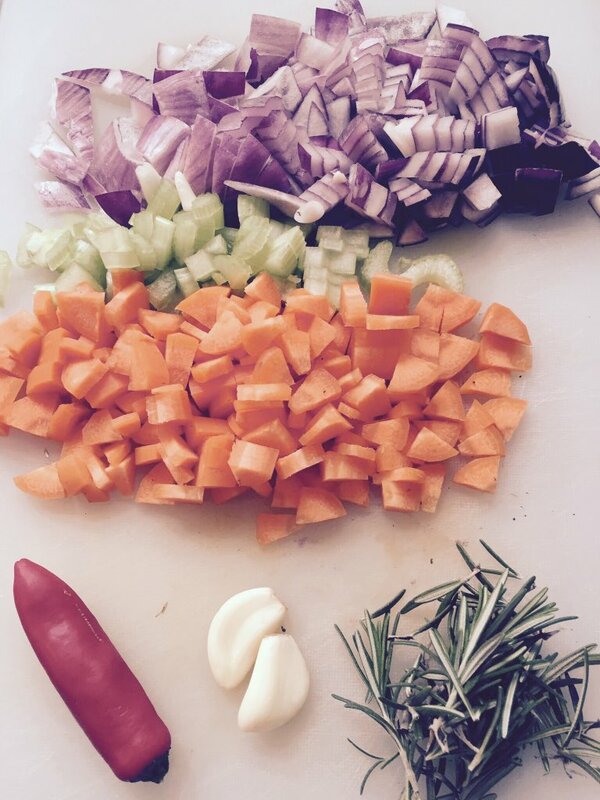 Every Sunday I make soup to take to work over the next week for my lunches. 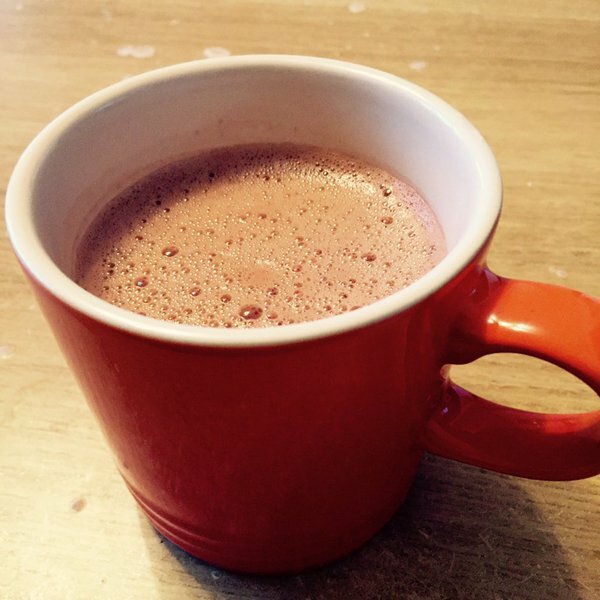 Hot chocolate with almond milk and organic cacao powder. 2. Upping the amount of organic foods that I eat: There is plenty of evidence regarding the negative effect of pesticides on hormone regulation. I now have a weekly organic fruit and vegetable delivery that really takes the hassle out of this, and to my surprise it hasn’t broken the bank. 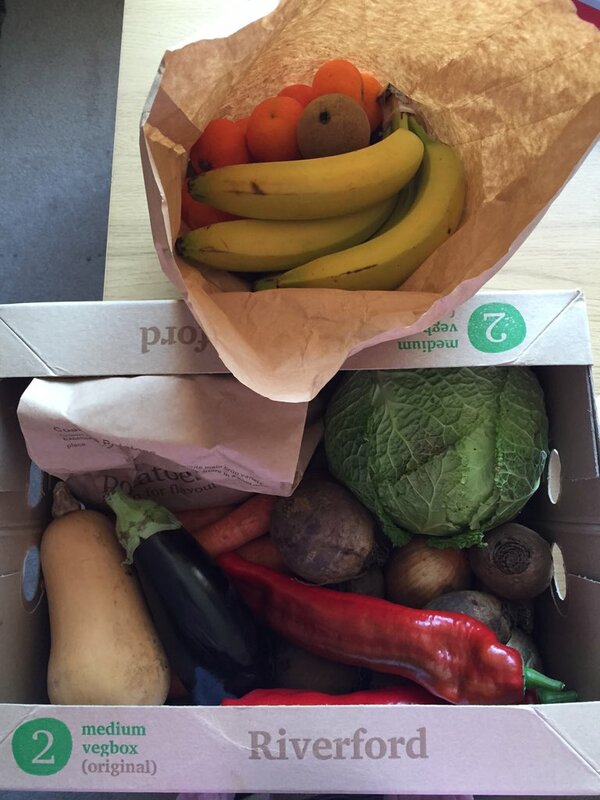 Organic fruit and vegetable delivery encourages me to get creative with new recipes. 1.Higher frequency and consistency: I want to do some physical activity each day, even if it means going for short walks or swims rather than sweating it out at my boot-camp classes. 2.Do more of the fun stuff: I have joined a Zumba class, as dancing is something I have loved since childhood. It feeds my soul, makes me smile, and the hour goes by so much quicker than at my circuits class! Finding an activity that you love is the key to fitness success! This area is all very new to me post endometriosis diagnosis, but wow there are a lot of nasty chemicals in the beauty and household products that we use! Many of these chemicals can act as powerful hormone disruptors, which is clearly not good news if you have a hormone-dependent condition such as endometriosis! 1.Be as natural as possible in the products that I use: Last year I switched all of my cosmetics to the Bare Minerals line, and have been really pleased with the results. 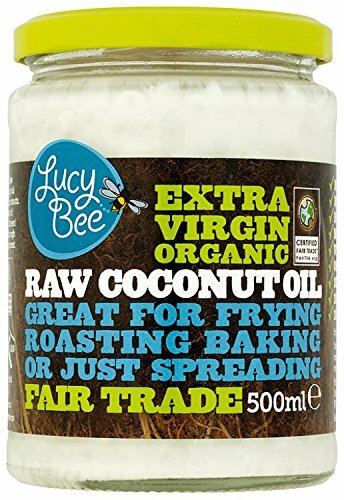 I am also a big fan of organic extra virgin coconut oil, and have been using this for a range of beauty needs such as a hair mask, lip balm, deodorant, shaving gel, and bath soak! Such simple switches but hopefully they will help promote my health in the long term. Coconut oil is a great natural beauty alternative. I use it as as a hair mask, moisturizer, shaving cream, lip balm, and body scrub. 2.Conduct further research for this blog: I will be posting about this topic in greater depth in the near future so do keep a lookout if interested! I have deliberately labelled these targets as ‘goals’ rather than ‘new year resolutions’ as I have no intention of this being a short term thing to be discarded by February. This is phase two of endometriosis recovery and it’s a long old track. I’m looking forward to working on this and to being the strongest, healthiest, and (I hope) happiest sick girl in town. I’d love to hear if you have any long term health/lifestyle goals you are working on to help with your life with chronic illness. Hints on staying on course are also much appreciated! Ha thank you! If I could I’d have all 176 million of you endo-sisters over to my house for dinner! Thank you for your comment. Yes I completely agree with you on this! Glad we can discuss this topic as the main narratives around the endo-diet are all about restriction which I don’t believe is a positive message, especially where women are concerned who can be more prone to problematic eating styles. Thank you for your message. Glad it isn’t just me who struggles with the endo diet- I just don’t think it’s realistic or possible for most people to be honest. Your approach sounds like mine, and is a much healthier way forward I think. I couldn’t bear restricting my food so much to go through the endo diet, and I’m sceptical how much a diet change could make a difference, almost makes it seem like I inflicted some of the problem on myself by what I eat? I wish I could exercise more but walking and standing too long causes pain; the only good thing is my daily walk with my dog which is relaxing and helps me focus 🙂 Looking forward to a year of new things and hopefully, less pain. Great read Claire. For me the focus is on knowing my body’s limitations: if I don’t have some down time (aka 1hr on sofa snoozing with the dogs) every afternoon I really suffer. I simply don’t have the physical strength that I used to have even a few years ago. I used to feel guilty about this especially when talking to girlfriends who are busy working mums and don’t have the “luxury”. However, what would be a luxury to them is actually a necessity to me: more than 2 consecutive days without a siesta and I’m on my knees. I’ve also found that accepting what life has thrown at me and finding a way to turn it into a force for good has helped. I’m no longer controlled and diminished by my endo and resulting infertility: I am now empowered by it as I’ve found a way to use my experiences to help others. Pingback: Living with endometriosis: Why your choice of feminine hygiene products matters for your health. | The Endo The World?